hd00:30Coquitlam, BC, Canada - December 15, 2014 : Close up people playing slot machine inside Hard Rock Casino in Coquitlam BC Canada. 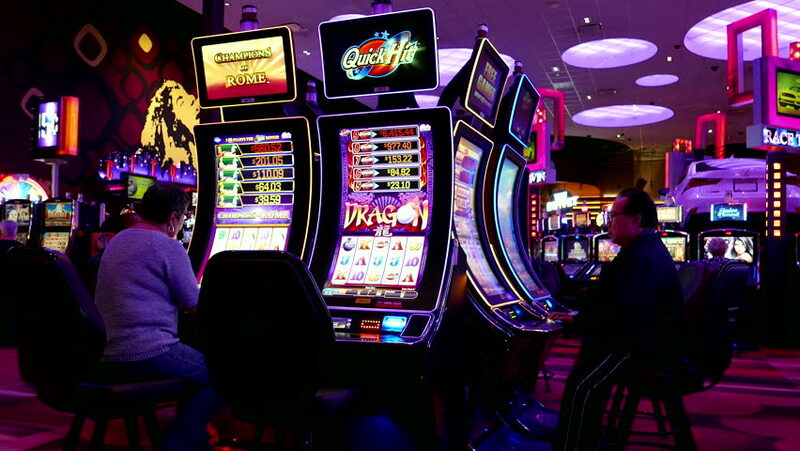 4k00:13Batumi, Adjaria / Georgia - 01.25.2019: Empty hall with casino slot machines, professional slot machines in casino. 4k00:23SIEM REAP, CAMBODIA - FEB 11: The famous Pub Street nightlife area on February 11, 2016, in Siem Reap, Cambodia. Siem Reap is a popular resort town, often called the gateway to Angkor Vat.